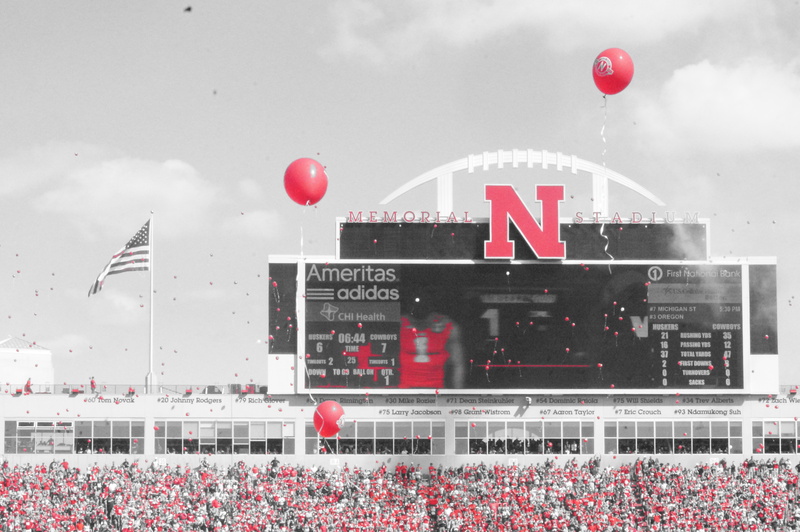 Will the Nebraska Cornhuskers’ Soft Non-Conference Schedule Come Back To Haunt Them? Nebraska’s non-conference schedule for 2014 has worked out to be a little softer than first anticipated. Yes, Florida Atlantic and McNeese State aren’t going to impress anyone (although Nebraska’s struggles with the Cowboys on Saturday certainly put a damper on fans’ excitement for the balance of the season). Fresno State was 11-2 last year, but is currently sitting at 0-2 having been outscored by an aggregate 111-40 this year. Miami is a marquee name on a schedule, of course. But after the Hurricanes were outmatched by Louisville on the opening week of the season it doesn’t appear that Miami will be adding schedule strength to Nebraska’s resume for the selection committee. So if we accept the premise that Nebraska’s non-conference schedule this year is pretty soft, what effect will it have on NU going forward? Could it keep Nebraska out of the Playoff? There’s two scenarios where Nebraska could be a playoff contender. The first is if Nebraska runs the table and goes 13-0 with a win in the Big Ten Championship. In that circumstance, the only way Nebraska gets shunted out of the Playoff is if there are three undefeated conference champions with better schedules. How’s that work? Well, check out the College Football Playoff’s selection protocol. The stated purpose of the committee is to select the “four best teams from among several with legitimate claims to participate.” The criteria for making those selections are purposefully loose, but there is one area where the criteria do provide some specifics. What does that mean? Well, we’re not entirely sure until we see it in action. But more than likely, it means that a 13-0 champion of the B1G would get a playoff berth over, say, an 11-1 Big 12 champion or a 12-1 ACC champion. The undefeated season in a Power Five conference should put a team like Nebraska on a different level than a team with one loss, meaning the strength-of-schedule tiebreaker should not come into play. Now, if Nebraska is 12-1 and B1G champions, the calculus is very different. In that circumstance, Nebraska could be jostling elbows with a number of one-loss teams for a playoff spot. If we assume that the SEC and Pac-12 champions will get playoff berths (given the strength of their conferences), then we have two spots left in the inaugural field. In that scenario, Nebraska would be fighting with the champions of the other Power Five conferences, the ACC and the Big 12. If either of those champions are undefeated (say, Florida State and Oklahoma), Nebraska’s out. And Nebraska would likely lose out to a one-loss Florida State or a one-loss Oklahoma in that scenario, given the relative strength of schedule as a tiebreaker. And a 12-1 Nebraska would also have to contend with a one-loss SEC team that didn’t win the conference title. Let’s say LSU goes undefeated and loses to Georgia in the SEC title game. We could be looking at a musical chairs game of four teams for two spots, between an 11-1 Oklahoma Big 12 champion, a 12-1 Florida State ACC champion, a 12-1 LSU that did not win a championship, and a 12-1 Nebraska B1G champion. Picking between those first three would not be an enviable task for the two remaining spots. But eliminating Nebraska from that conversation would be pretty simple. Could it keep Nebraska out of a New Year’s Six bowl? 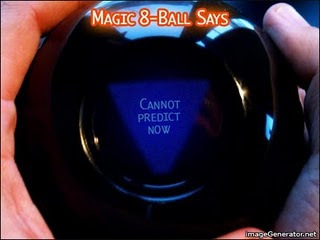 Probably not, but cannot predict now. In addition to the four-team Playoff field, the selection committee will be deciding the participants for the “New Year’s Six” bowl games (the Orange, Sugar, Fiesta, Rose, Peach, and Cotton Bowls). Two of those four bowls each year will be the Playoff semi-finals, and the participants for the other four will be chosen by the committee. Different rules apply, though, for New Year’s Six bowl selection. Many have conference ties (unless the conference-tied bowl is a semi-final). But for the bowl slots without conference ties, it will be the selection committee and not the bowl representatives in their brightly-colored blazers picking the teams. However, the criteria for selecting bowl teams is different than for selecting the Playoff participants. Instead, the committee will be picking from the “displaced conference champions” (meaning conference champions without a bowl tie in, like when the B1G champion can’t go to the Rose Bowl because it is a semi-final) and the highest ranked “non-contract conference champion” (meaning a non-Power Five conference champion) to fill the non-mandatory slots. The selection committee will fill the at-large berths in “rank order” from the final selection committee rankings. So how would this affect Nebraska? Well, if Nebraska wins the B1G but gets squeezed out of the Playoff, it is still guaranteed a spot in a New Year’s Six bowl as a conference champion. The only way Nebraska’s strength of schedule could hurt its chances as a New Year’s Six bowl is if it doesn’t win the conference and is positioning for an at-large berth. In that circumstance, Nebraska would have to rank high enough to warrant one of those at-large bids—and Nebraska’s soft non-conference schedule could be a drag on its ranking, making it harder to land one of those berths. Could it hurt Nebraska in the conference season? There’s a cliché about steel sharpening steel which could have Nebraska fans worried. It is possible that a cushy non-conference schedule could make Nebraska fat and lazy, and unready for a challenge from a truly talented opponent. In some ways, then, the near-miss to McNeese State might have been a good thing. Had Nebraska rolled through its non-conference, then overconfidence could have been a problem in preparation for games like Michigan State and Wisconsin. But after Nebraska needed an “Ameer-acle” to knock of an FCS opponent in Lincoln, no one in scarlet and cream should be overconfident. Ever, or at the very least for the rest of this season.